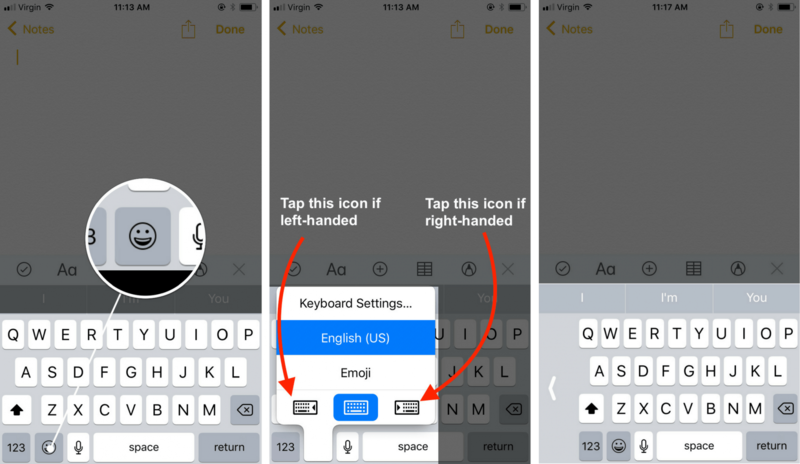 You are at:Home»iPhone»Tips»How Do I Turn On The One-Handed Keyboard On An iPhone? The Fix! You want to send a text on your iPhone, but you only have one hand free. “If only there was a one-handed iPhone keyboard!” you think to yourself. Fortunately, now there is. 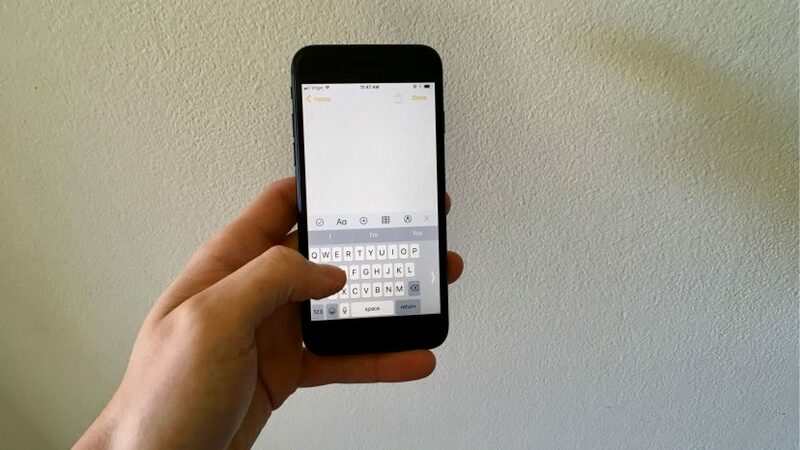 In this article, I’ll show you how to turn on the one-handed keyboard on an iPhone. 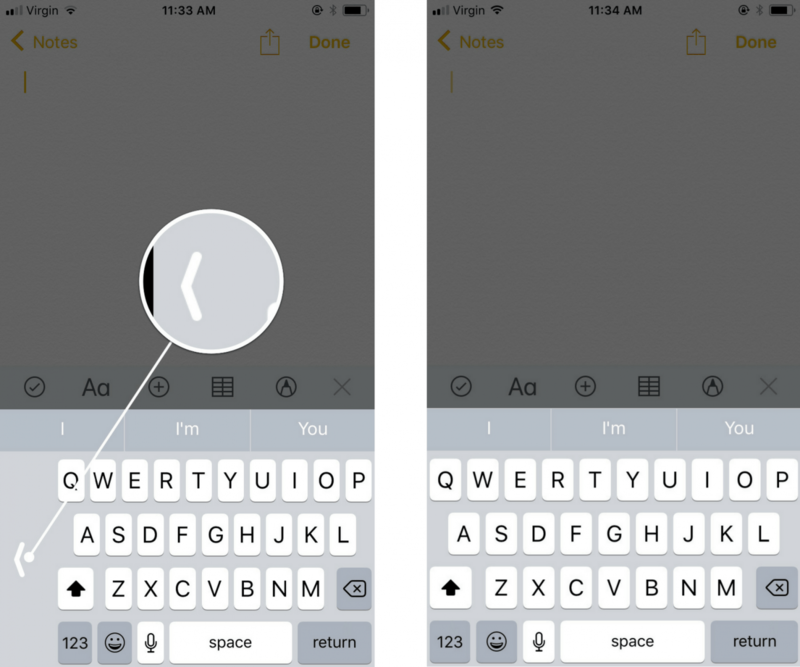 Apple integrated the one-handed iPhone keyboard with the release of iOS 11 in Fall 2017, so make sure you’ve updated your iPhone before following this guide. To update to iOS 11, open the Settings app and tap General -> Software Update -> Download and Install. The update process can take awhile, so be patient! Open an app that uses the iPhone keyboard. I’ll use the Notes app to demonstrate. Firmly press and hold the emoji icon located in the lower left-hand corner of the iPhone keyboard. If you’re right-handed, tap the iPhone keyboard icon on the right of the menu to turn on the one-handed keyboard on an iPhone. If you’re left-handed, tap the iPhone keyboard icon on the left of the menu to turn on the one-handed keyboard on an iPhone. After you tap either keyboard icon, your iPhone’s keyboard will shift to the right or left, making it easy to type with one hand. To return to the two-handed iPhone keyboard, tap the white arrow on the opposite side of the one-handed iPhone keyboard. You can also firmly press and hold the emoji icon again, then tap the keyboard icon in the center of the menu. Typing just got a little bit easier now that you know how to turn on the one-handed keyboard on your iPhone. Make sure to share this useful tip on social media with your friends and family. If you have any other questions about your iPhone, please leave a comment down below! Previous ArticleHow Do I Restart An iPhone Without The Power Button? The Fix! Next Article How Do I Make The iPhone Display Darker? Here’s The Fix!